Nanoengineering doctoral candidate Cody Carpenter is researching the development of materials to stimulate the sense of touch. He received fellowship support from the ARCS Foundation to support his work. Research at UC San Diego has the potential to impact everything from addressing global security to curing the world’s most devastating diseases, and new promising ideas are emerging every day. Driving the quest for new ideas and discovery are young faculty researchers and graduate students. Yet, these promising minds are the very same researchers who often struggle to find funding to support their novel research and ideas. That’s where philanthropic support can be a game changer. Private gifts from individuals, foundations and companies can play a critical role in bridging the funding gap for young researchers. Philanthropic support can allow them to pursue early-stage research and publish work that will help set them up to achieve academic tenure. It can also help set the stage for securing funding from public granting organizations such as National Institutes of Health and the National Science Foundation, which tend to support established research projects. Dana Murillo received the Hellman Fellowship to support her work. 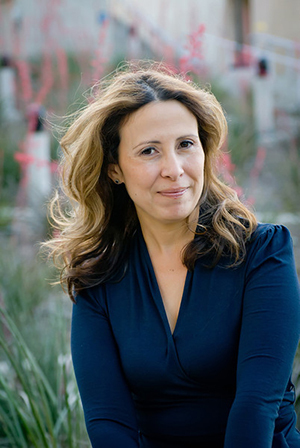 UC San Diego faculty member Dana Velasco Murillo, an associate professor of history at UC San Diego whose research focuses on recovering the histories of native peoples and women in early Latin America. Velasco Murillo was tenured at UC San Diego in 2016, with a book published shortly thereafter. She attributes her accomplishments to the funding she received from the Hellman Fellows Fund, which was established at UC San Diego in 1995 by Chris and Warren Hellman, with an initial gift of $2.5 million. The program is designed to provide financial support and encouragement to young faculty, like Murillo, to help launch their academic careers on the tenure track. The Hellman Fellowship Program at UC San Diego proved so successful that it has since been rolled out at all 10 University of California campuses and at select private institutions like Stanford University and Williams College. On our campus, the foundation has committed a total of $7.5 million to date for supporting junior faculty research. The ARCS Foundation has also established a long legacy of supporting promising minds with funding for graduate fellowships at UC San Diego. The ARCS Foundation is a national nonprofit—led entirely by women—that is dedicated to advancing science and technology in the United States. The organization provides financial awards to promising graduate students who are pursing degrees in science, engineering and medical research. 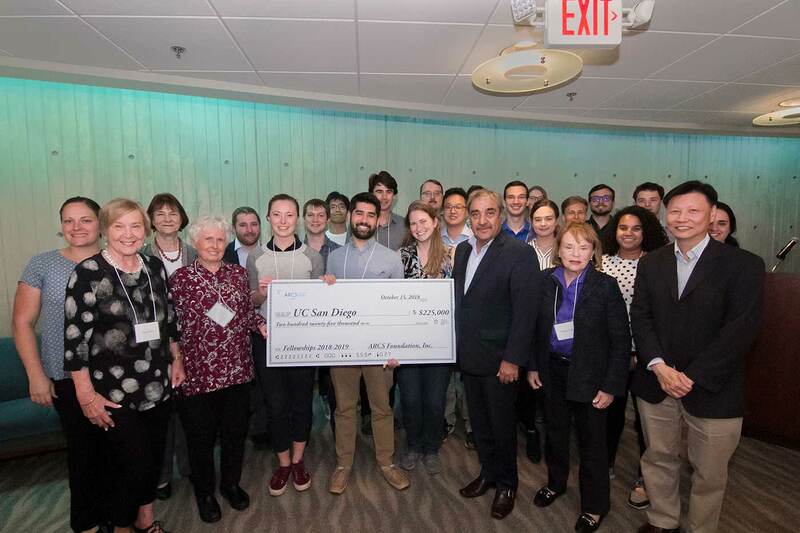 The San Diego chapter has given more than $5.3 million to support UC San Diego graduate students since the chapter’s inception in 1985. The San Diego Chapter of the ARCS Foundation donated $225,000 this year to support graduate student awards. Since starting as a Ph.D. candidate in the nanoengineering department at UC San Diego, Cody Carpenter has dedicated himself to researching the development of materials to stimulate the sense of touch. Because humans can feel molecular differences between nearly identical surfaces, Carpenter’s goal is to determine how materials and their properties can be used to form a display for our hands, the same way that differently colored pixels used in visual displays create static images or video for our eyes. 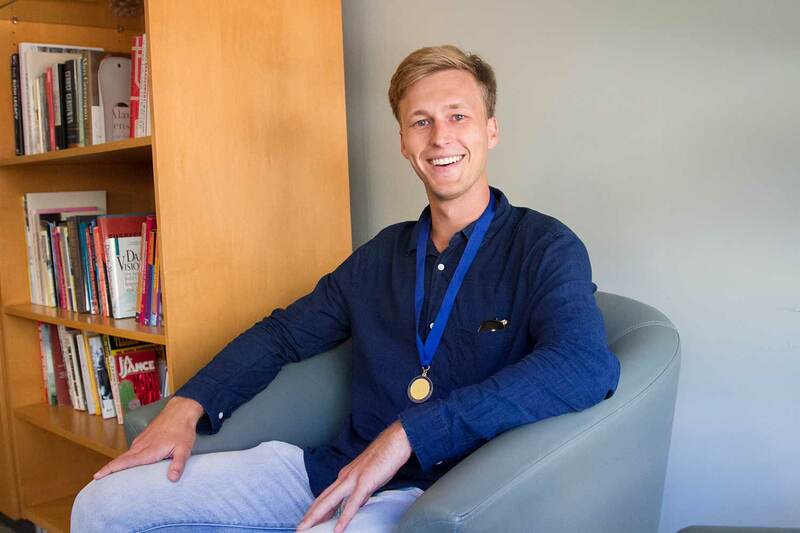 Carpenter is among 31 UC San Diego graduate students who have been awarded fellowships totaling $225,000 from the San Diego chapter of the ARCS Foundation for the 2018-2019 academic year. Thanks to the money he received from the organization, Carpenter has been able to present his research at numerous conferences both domestic and international. To learn more about supporting faculty and graduate students pursuing exciting research, please go to the faculty and graduate students campaign funds webpage.